Bisexual women in the United States are most likely to abuse opioids due to stress and stigma, scientists said, with 14% reporting misuse of drug prescriptions in the last year. The New York University School of Medicine found past-year misuse of opioids, including painkillers such as morphine and oxycodone, was lowest among heterosexuals at 5%, with bisexual men at 8% and gays and lesbians at 9%. "When we find that bisexual women are at highest risk for opioid misuse, it actually fits in line with privilege and power and the structures that people have to endure," said Dustin Duncan, an expert in sexuality and health at the university. 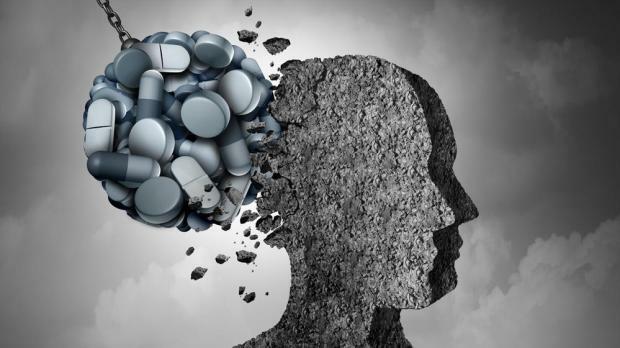 "They want to cope with that stress, and one coping mechanism that's possible is the use of opioids," Duncan, the report's lead author, told the Thomson Reuters Foundation. US President Donald Trump has declared the opioid crisis a public health emergency and broadened access to medical treatment, as well as calling for the execution of drug dealers. Joseph Palamar, another of the study's authors, said bisexual people also report higher levels of recreational drug use than gay or lesbian people - a significant risk factor for opioid misuse. "Opioids are a completely different story, because they are classically addicting," said Palamar, an associate professor at New York University who has written several papers on drug use. "You could really be playing with fire if you're using opioids in a recreational manner."